Financial inclusion through microfinance has become a powerful force in improving the living conditions of poor farmers, rural non-farm enterprises and other vulnerable groups. In its unique ability to link the existing extensive network of India’s rural bank branches with the Self Help Groups (SHG), the National Bank of Agriculture and Rural Development (NABARD) has covered up to 97 million poor households by March 2010 under its Self Help Group Bank Linkage Programme. Policy-makers have proclaimed SHGs as ‘‘the most potent initiative … for delivering financial services to the poor in a sustainable manner." This book presents a comprehensive scientific assessment of the impact of the Self Help Group Bank Linkage Programme (SBLP) on the member households. 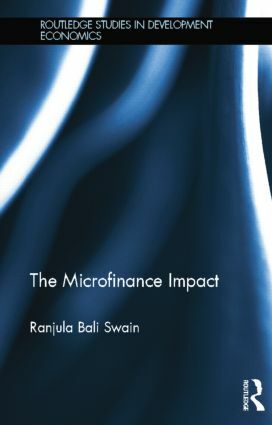 The book discusses wide-ranging topics, including the rural financial sector in India, the history and structure of the SBLP, the impact methodologies, the economic and social impact of microfinance, its role in building assets while reducing poverty and vulnerability, the role of women and their empowerment, training and accumulation of human capital and policy implications of lessons learned. The empirical results show that vulnerability of the more mature SHG members declines significantly. Vulnerability also falls for villages with better infrastructure and for SHGs that are formed by NGOs and linked by banks. The results strongly demonstrate that on average, there is a significant increase in the empowerment of the female participants. The economic impact of SBLP is found to be the most empowering. Greater autonomy and changes in social attitudes also lead to female empowerment. The investigation further reveals that training (especially business training) has a definite positive impact on assets but not on income. The impact of training can be improved through better infrastructure (as in paved roads), linkage model type, and the training organiser. Bridging the gap in the existing literature and between academics and practitioners, this book moves beyond the usual theoretical issues in the impact assessment literature and draws on new developments in methodology. It will be of interest to academics, development practitioners and students of economics, political science, sociology, public policy and development studies.